Valentine’s day gifts – so many good choices. You’ll find small puppies to giant teddy bears that can barely sit on a shelf. With a lot of looking and snuggling I found clothes, jewelry, and stuffed animals for my kids. This adorable beige puppy is soft. I loved his expression and how floppy he was. He has a sweet red bow and is about 7 inches tall sitting up. 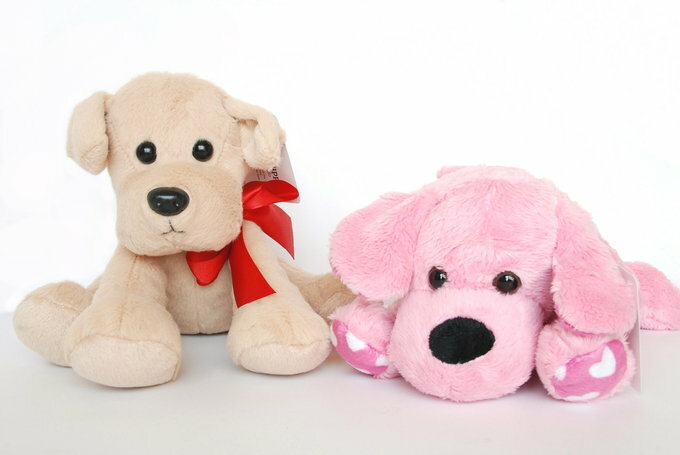 The pink puppy has heart fabric on her paws and ears. 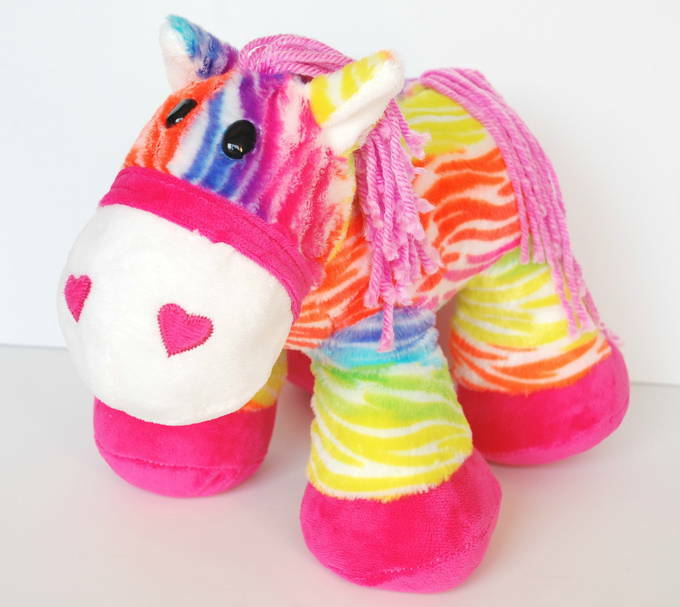 She is soft to squeeze and is about 10 inches long. I was drawn to the happy smiles on these little guys. Both of these “Big Eye Animals” have a heart on their foot, cute tails and manes, and have metallic eyes. 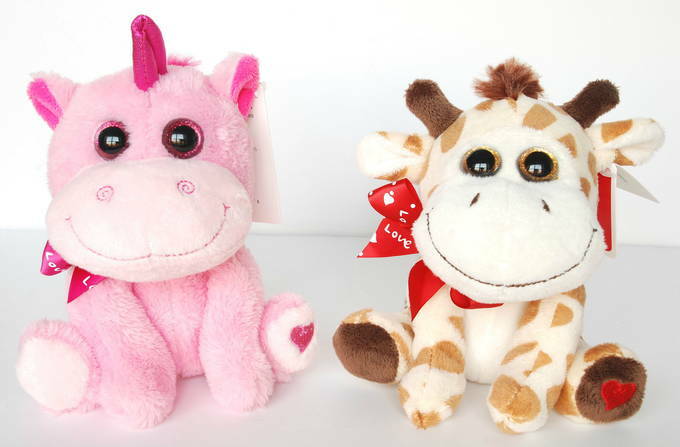 They are about 7 inches tall and their bows say “LOVE”. I found this cutie pie in the stuffed animals area (in the toy department). I love how vibrant his rainbow colors are. He’s very soft and made of quality fur. He’s about 1½ feet long. On Valentine’s Day I like to buy my kids heart boxes with chocolates. And I think they will love these gifts too. 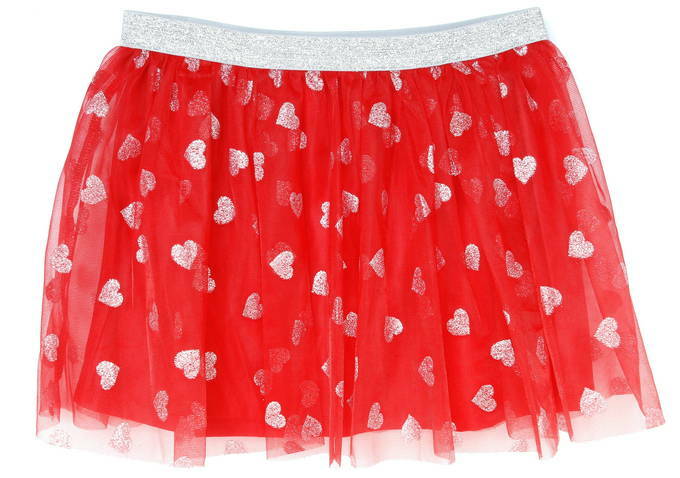 This is the perfect skirt to show off at a Valentine’s Day party. I LOVE the glitter hearts and elastic waistband. It has a sheer outside layer over a red liner. This is an awesome skirt. I would have loved to wear it — when I was younger. 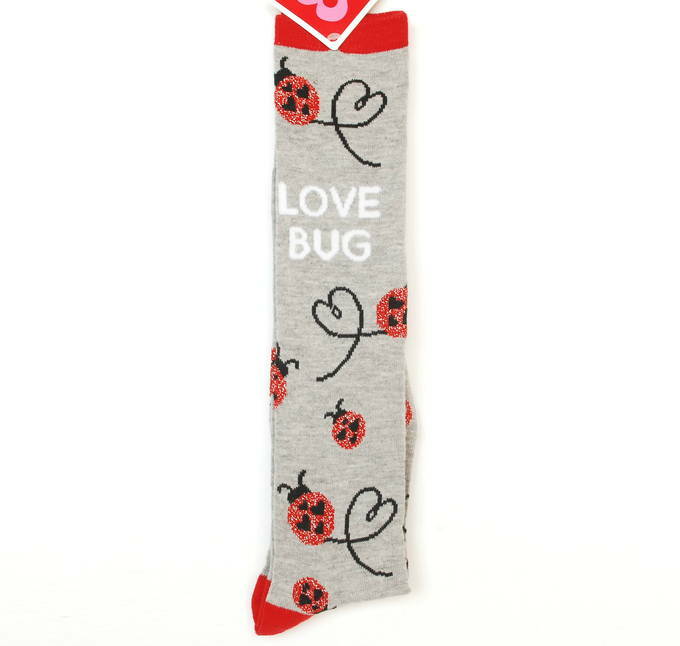 I was loving these socks for their metallic yarn and the ladybugs. You will find quite a selection of socks for Valentine’s Day. This necklace and earring set had my daughter’s name on it. She’ll be happy to add the earrings to her “when mom can brave the idea of getting her ears pierced” collection. She’s going to adore the necklace! I need that beige puppy so bad. Are you selling them – do you have it? My 3 yr old lost hers and it’s her favorite!! Please help!!! Sorry to hear about your beige puppy. You can check at your local Walmart or at Walmart online to see if you can find it.